Boys Junior Varsity Soccer, Boys Varsity Soccer · Sep 3 WHS boys soccer team victorious over Mishawaka! 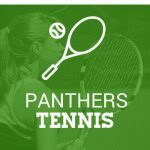 Boys Varsity Tennis · Sep 2 Panthers take loss but gain experience against Jimtown. Washington High School’s football team battled Jimtown Friday night, but fell short 21-6. There were great performances from the offense and defense along with great support from South Bend’s westside. Coach Johnson believes the team is moving in the right direction and looks forward to next Friday’s game at Clay. Boys Junior Varsity Soccer, Boys Varsity Soccer · Aug 25 WHS boys soccer gets a win at Bremen! Washington High School boys soccer team came away with a victory against Bremen! Final score was 4-0. Coach was proud of his team’s effort and sportsmanship! The team is looking forward to their next match against Mishawaka Marian Thursday, August 27th at Washington!